The following was submitted by George Chen for Torrance City Council 2018. There has been an increased interest within the Asian Pacific Islander community to find and elect qualified leaders in various city, statewide and even national campaigns. This makes sense since the API community is a growing force in many districts throughout the state. Being an elected official, however, hasn’t been at the career forefront of many in the API community, which makes it refreshing to find new candidates who are willing to jump into these races. 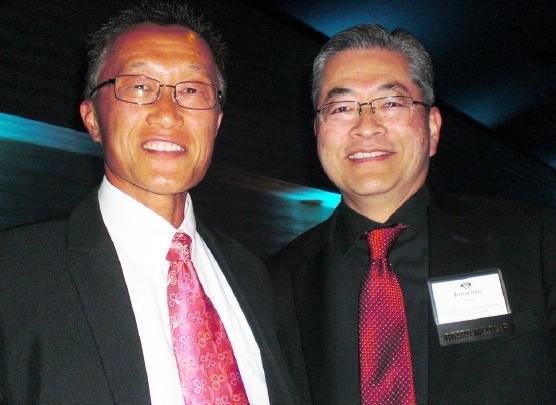 One such candidate is recently retired Raytheon program manager George Chen. George is the only Asian American candidate running for Torrance City Council in a city whose Asian population is over 38 percent. In a recent citywide debate at South High School in Torrance, the issue of race and the lack of diversity among elected officials was posed to George. His response was that voters should view him by his qualifications and not solely by the color of his skin. He was a great admirer of the late Martin Luther King. George has lived in the South Bay for 50 years after emigrating from Taiwan at age six. He is a graduate of UCLA and received a degree in electrical engineering. Upon graduation, he started his engineering career with Hughes Radar Division and progressed to become a program manager for Raytheon, providing the most capable weapon systems for our warfighters. George and his wife Amy have lived in Torrance for over 26 years, raised two children in the West Torrance schools, and taken leadership roles in the local Bread of Life church. George has 33 years of high-tech industry problem-solving and management experience as an engineer working for aerospace company. As an experienced program manager, he managed hundred-million-dollar programs and met the requirements of our military. Many political campaigns currently rely in a large measure to social media. George, as a high-tech executive working on sensitive government projects, was not permitted to have Facebook or Twitter, so he had to get up to speed quickly with the help of his daughter and friends. “I was a ghost online because of my prior work, but meeting and reaching out to people from all over the city has been a wonderful experience,” said George. He has quickly adapted and has built a team of supporters from throughout the city. A recent “aloha fundraiser” held in April at the West End Racquet Club was filled with over 210 supporters and well-wishers trying to get in. The manager of the complex and other candidates said it was the largest fundraiser in the city of Torrance in years. George has been blessed to pursue the American Dream, and now he wants to give back to America and community that is his home. George envisions Torrance as the “Silicon Valley in the South Bay,” where we become the center of excellence for business and technology innovation — a place where the best talents in the world flock to incubate new ideas and where domestic and international entrepreneurs seek to invest. George has been endorsed by City Councilmember Milton Herring, former Assemblymember David Hadley, Los Alamitos Mayor Pro Tem Warren Kusumoto, Tony Award-winning playwright David Henry Hwang, Jonathan Kaji, and Torrrance Traffic Commissioner Mark Tsuneishi, among many others. For more information, visit www.vote4georgechen.com. In Torrance, candidates run at-large; there are no district elections. Candidates receiving the highest number of votes are seated; there are no primary elections or runoff elections.